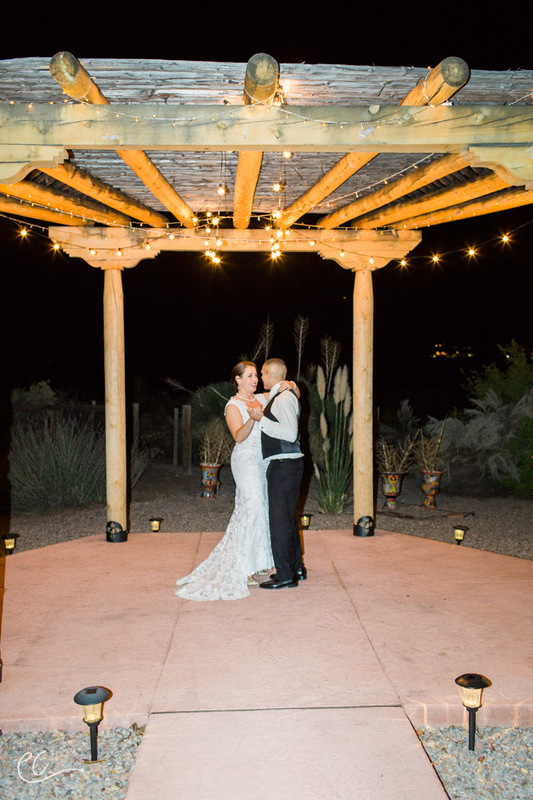 Shanna and Carlos said their vows under the glowing pink Sandia Mountains as the sun settled into the horizon for the night. It was a lovely late-October evening. The air was filled with the smell of cottonwoods yellowing and the brisk smell of winter just around the corner. 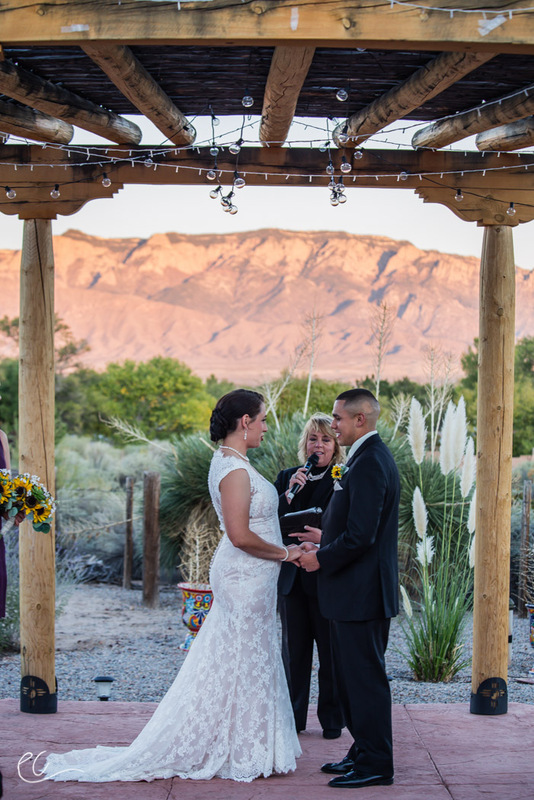 Their wedding was at Chocolate Turtle Bed and Breakfast in Corrales, NM. 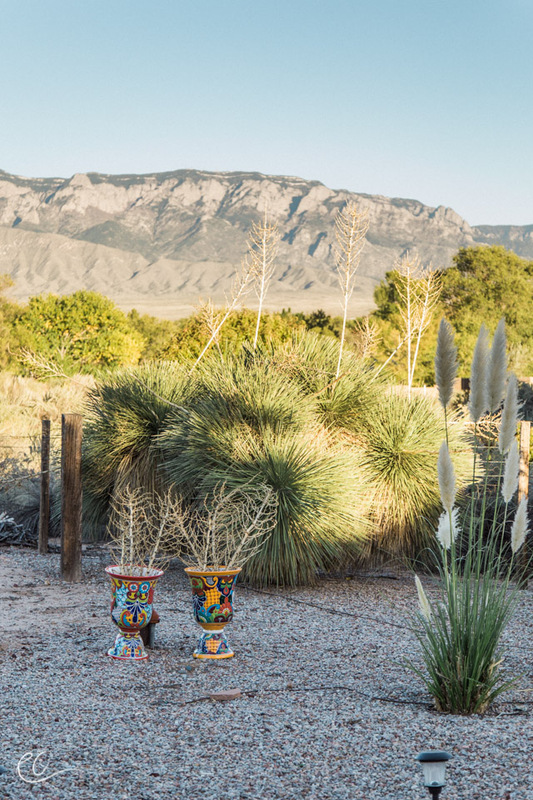 The location was perfect, nestled into the Rio Grande Bosque with views of the Sandias. 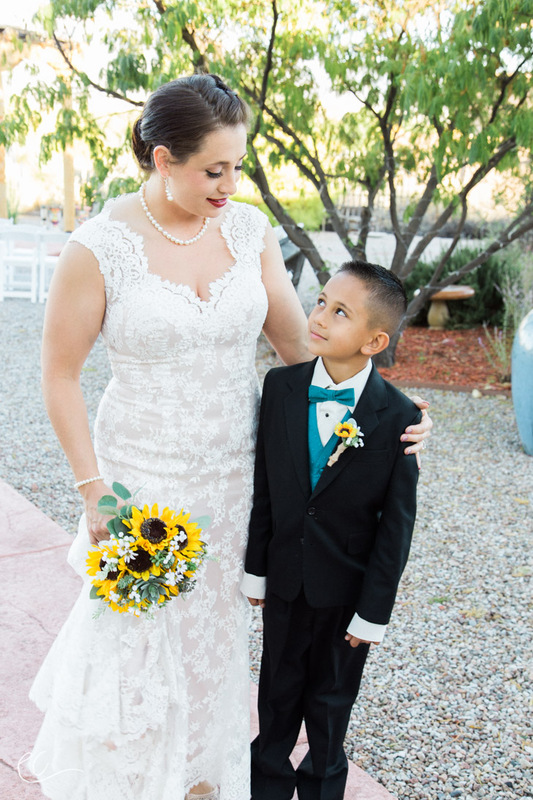 Shanna and Carlos's two sons, Isaiah and Carlitos, happily ran around the wedding venue, excited for their parents' union. 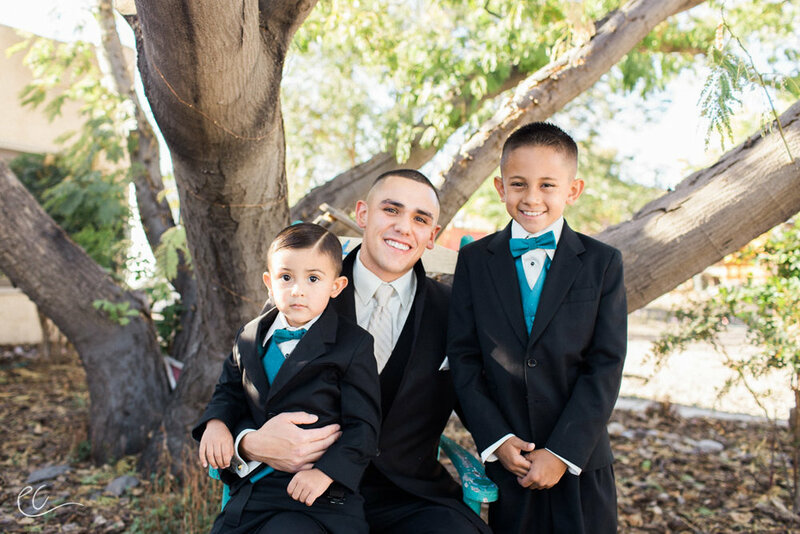 Carlitos entertained guests with his mischievous not-quite-a-toddler-anymore smile and Isaiah would formally pose for me, never forgetting his manners. One of the most touching parts of the evening was when Carlos's sister made a speech about their late father and thanked her older brother for holding up the family through difficult times. 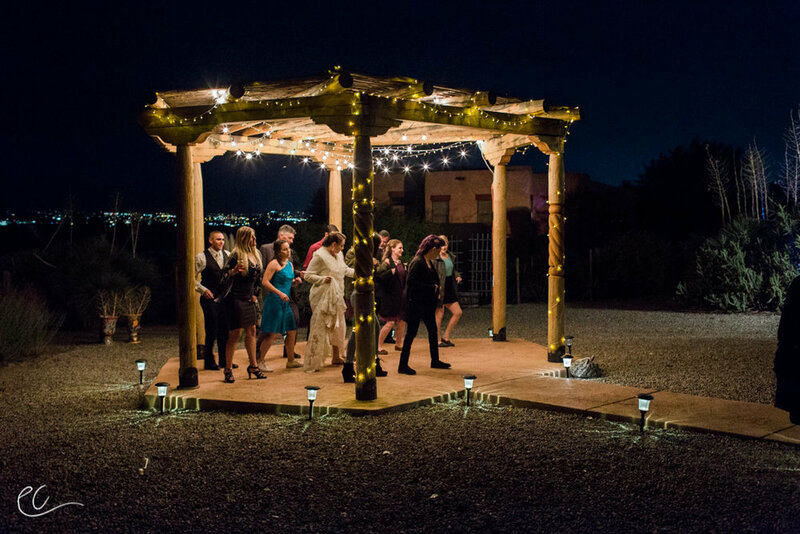 Another was when Shanna presented her grandparents her bouquet, instead of tossing it, to show her appreciation for the older couples' enduring love. 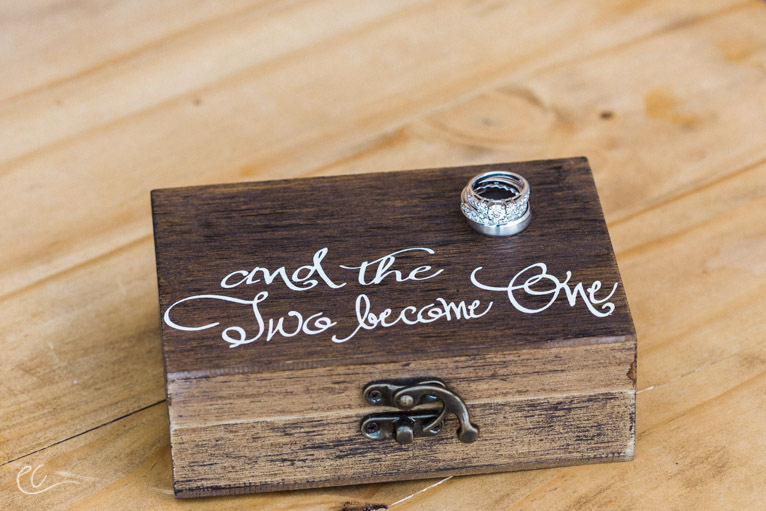 Shanna and Carlos will make such an amazing husband-wife duo, I am so happy for the two of them and their sweet family. 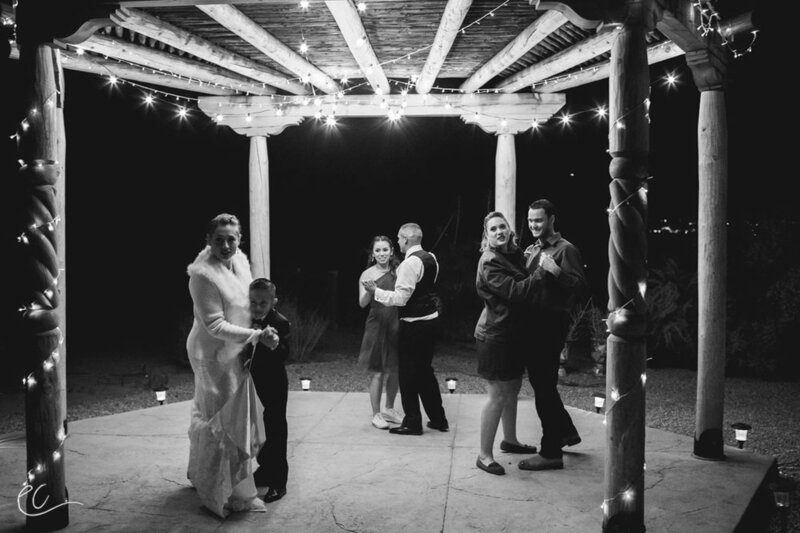 View their wedding photos below or click here for their full wedding gallery where you can order prints (expires on 1/13/18).